Gilbane plays a significant role in supporting NAVFAC in environmental task orders. 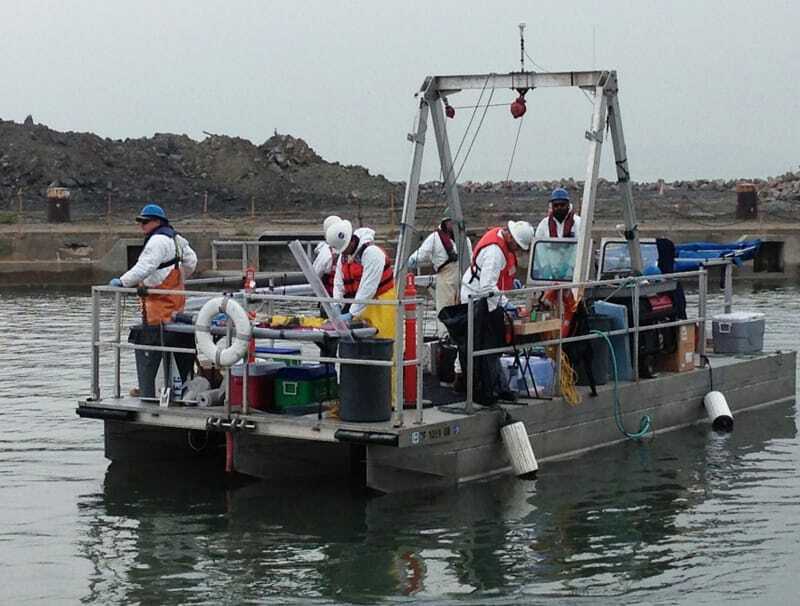 At Hunters Point Shipyard, a former Navy base in San Francisco, CA, Gilbane has completed multiple environmental projects involving data gap investigations, planning, remediation, and reporting for multiple contaminants of concern to transfer the property for public use. Gilbane managed soil, groundwater and sediment contamination that included volatile organics, TPH, metals, PCB and radiological contaminants. Gilbane also managed transportation and disposal of over 350,000 tons of contaminated waste to offsite landfills. Gilbane received commendations from the Navy and Hunters Point Community for our outstanding community outreach work. Gilbane conducted Remedial Action activities under CERCLA, RCRA, UST, and other programs including Work Plans, Site Safety & Health Plans (SSHPs), Removal Action Completion Reports (RACRs) and other project documents that underwent Navy, regulatory agency and local city/county reviews. We interfaced with regulators, Navy officials and public stakeholders to address concerns for environmental impacts. Some task orders required the transfer of contaminated land under rigorous scrutiny. Gilbane played a significant role in supporting the Navy’s outreach during these task orders, developing press releases, quarterly reports, and fact sheets summarizing critical activities. Gilbane received commendations and excellent evaluations for our performance on this project with 14 CCASS/ACASS/CPARs that have been above average or higher.